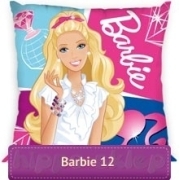 Barbie bedding collection for girls with single and twin duvet cover size with Barbie character – the most popular and recognizable doll around the world licensed by Mattel. 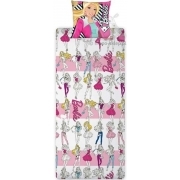 Children’s bedding for girls with dolls image from the series Life in the Dreamhouse also movies Barbie the pearl princess, Barbie & her sisters in a pony tale, Barbie: Princess and the Pop star. 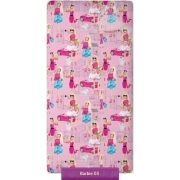 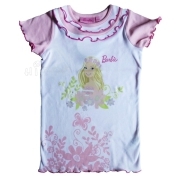 Barbie Bed linen for girls, 100% cotton, various sizes duvet cover and pillowcase, certified according to Oeko-Tex 100, zipper closure. 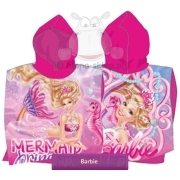 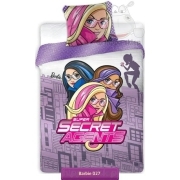 Barbie beach towels and other accessories with the figure Mattel’s popular doll is an interesting variety of your girl’s room as well as practical ideas for gifts.